Sandeep Marwah is a well known International media person with five World records to his credit. He is the founder of Noida Film City, which is the fastest growing film city in the World. He is the founder director of Marwah Studios and Asian Academy of Film and Television now one of the ten best film schools of the World. 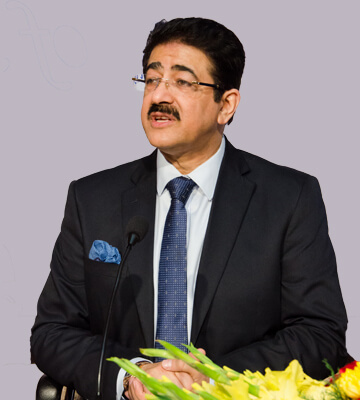 Sandeep Marwah is associated with 4500 television programs, 125 feature films and 5000 training films. He is the producer of largest number of short films in the World around 2300. He has trained more than 12000 media professionals haling from 108 countries of the World. He is recipient of more than 200 awards from all over the World for his contribution to films, television and media. He has been heading more than 30 national and international media organizations. Indian film industry is proud of Sandeep Marwah.